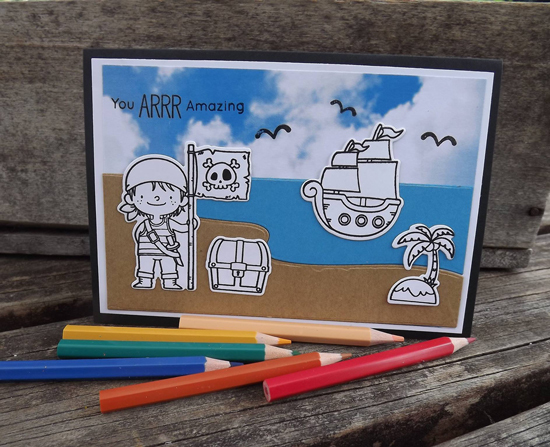 Michelle created a fun scene with images from the Party Like a Pirate stamp set, but instead of coloring the characters herself, she left them black and white so the recipient could color them! 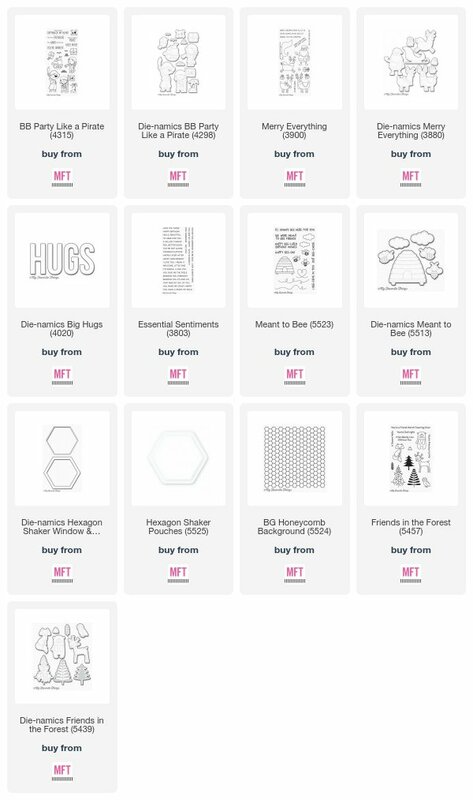 We love this interactive element on her card design. A clean and simple design is a great choice when you want your message to stand out on your card. Faiza kept her color palette to a minimum with a bold sentiment that lets the recipient know she's thinking about them. 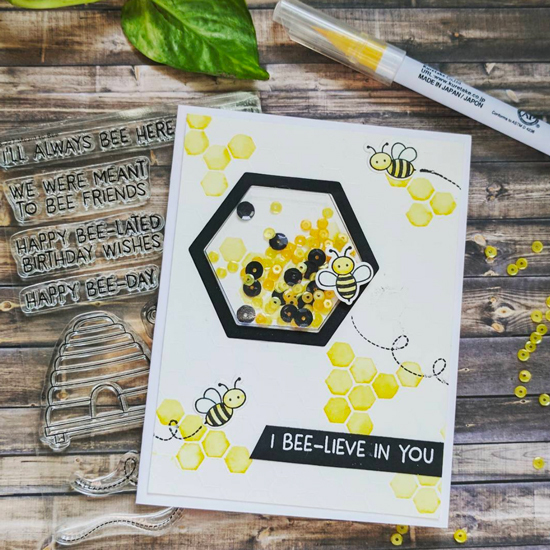 We adore this un-bee-lievable shaker card created by Kate. :) A hexagon background is an ideal foundation for her flying bees, complete with trails. 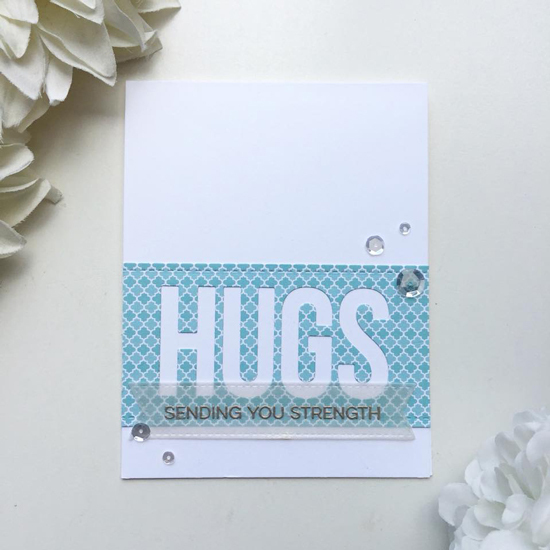 The black sentiment strip with a white embossed greeting completes her card design and coordinates perfectly with the frame around her shaker element. A soft pink background is an unexpected color choice on a holiday card, but it definitely works on Annett's card design. 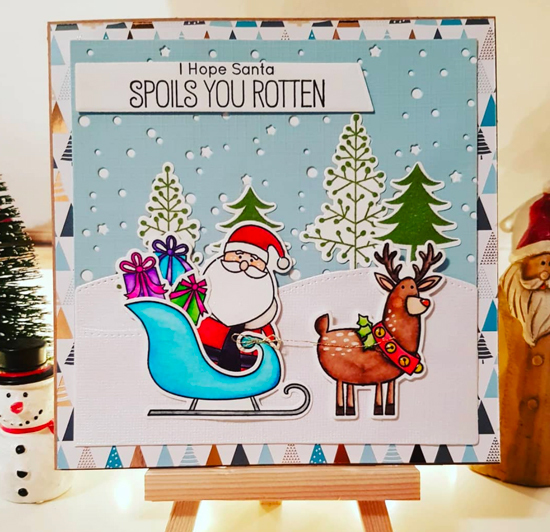 Her images are colored beautifully and the soft reds used on Santa and his reindeer help to complement the snowy background and pull the whole design together. Diana combined multiple elements to create her winter wonderland, including Santa and his reindeer with a snowy forest in the background. 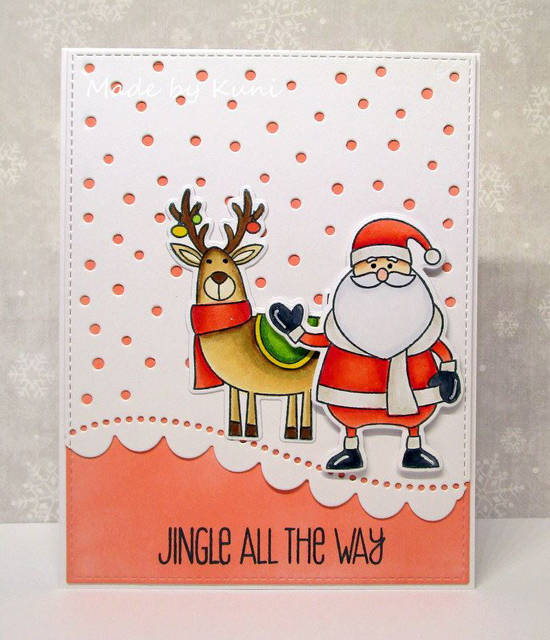 Her bright colors really give the card a fun, festive look and help her focal images pop on her card.